Chromosome 9 harbors several relevant oncogenes related to hematolymphoid malignancies and one specific region, 9p24, has come into the focus of attention in the last years as it contains recurrently mutant genes of therapeutic interest. The most prominent genes of this locus are programmed death ligands 1 and 2 (PDL1/PDL2), with the amplification of PDL1 being a hallmark of both classical Hodgkin and primary mediastinal B cell lymphoma, and Janus kinase 2 (JAK2), which is point-mutated in myeloproliferative neoplasms and other myeloid malignancies, and rearranged in PCM1-JAK2-positive myeloid/lymphoid neoplasms with eosinophila. Finally, this locus contains the lysine (K)-specific demethylase 4C (KDM4C/JMJD2C), which is also relevant for oncogenesis. Activation of these genes is effectuated, as exemplified, by multiple mechanisms, which is rather unique to oncogenes, since they are usually affected by just one type of mutation, and points towards the central role of these genes in tumor initiation and growth. Amplifications and, less frequently, translocations are the most common findings for PDL1/PDL2 and JAK2 in lymphomas. 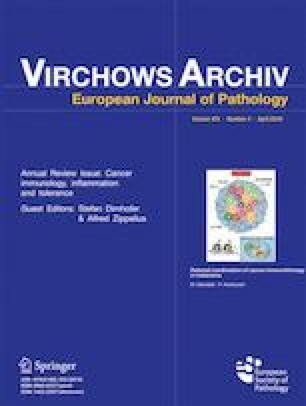 In this review, we describe the role of genes located on chromosome 9p24 and their derived proteins in diverse subtypes of lymphomas, with a special focus on PDL1 and PDL2, which are becoming a central target of immunotherapy, not only in classical Hodgkin lymphoma but also in various types of solid cancers. We also elucidate the role of the surgical pathologists in this setting — concerning what they can contribute — both diagnostically and predictively. Both authors conceived and wrote the manuscript. Both authors gave final approval for publication. AT takes full responsibility for the work as a whole, including the study design, access to data, and the decision to submit and publish the manuscript.